Lively, floral, youthful, this Southern Rhone blend (syrah, Grenache, mourvedre) is sensational. It has the right balance of fruit, spice and structure. Beautiful aromas of strawberries, cherries, liquorice and a hint of ‘garrigue’ herbs. The palate is very long with ripe and elegant tannic structure and gorgeous flavors that burst with red berry fruit and add in flavors of licorice and spice. Very fresh finish. Biodynamic farming. The soil is cleared and turned over. Gobelet pruning. Hand harvest in the morning. Five weeks of maceration in stainless steel vats with alternating “punch-downs” and “pump-overs” to gently extract the full, complex flavours of the exceptional grapes. 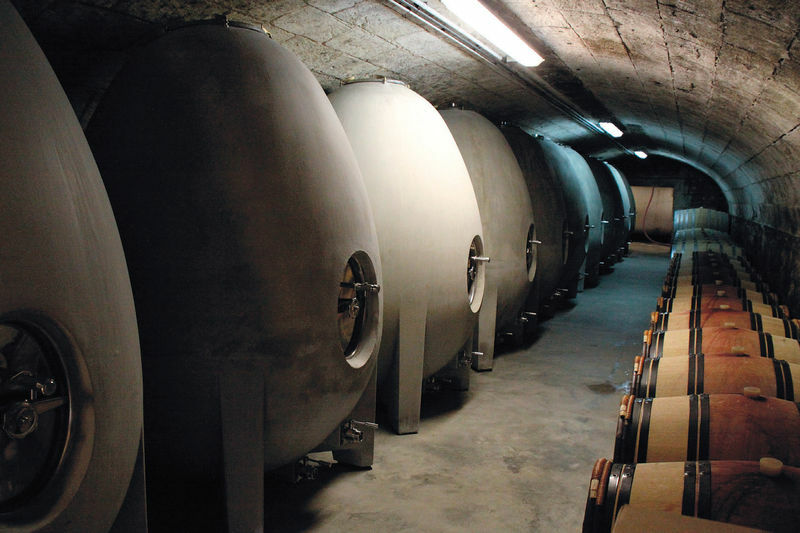 The fermented wine is then matured for about 10 months in stainless steel vats. The estate was created in 1992, start to be organic in 2002 and biodynamic in 2011. Today there is 17 hectares of vines. In 26 years his production involved from 2.000 bottles to 55.000 bottles a year. The parcels of vines totaling 17 hectares are evenly scattered around five villages. This configuration allows him to benefit from numerous microclimates and different types of soil. “My vision of wine can be summed up in two words – finesse and elegance. I seek to make wines that are different, that have real personality. The grapes are picked entirely by hand and only between the hours of 7.00am and midday to benefit from the cool of the morning. Only indigenous yeast are used for the wine making process. As the son of two teachers, nothing predisposed him to take on a vineyard and become a winegrower. His very first grape harvest was at the age of 14 but he didn’t like it, his dream was to rear traditional cows from the area. It was with this in mind that he started studying agronomy in Bordeaux. And then work placements in the wine producing chateaux and some decisive encounters with their cellar-masters changed his point of view. He discovered that running a vineyard and winemaking could be absolutely fascinating. After specializing in oenology he spent several years alongside winemakers of repute: Alain Brumont in Madiran, then in Corsica and finally as Director of a wine cooperative in the Gard.